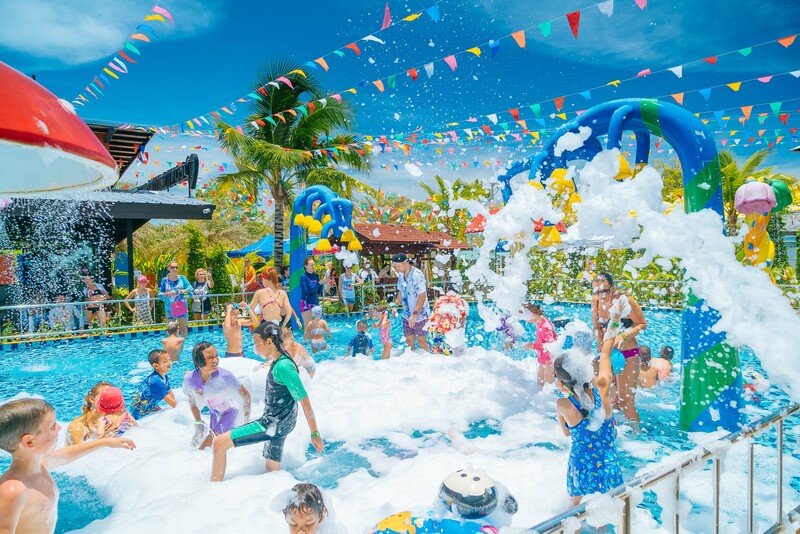 Rawai VIP Villas, Kids Park & Spa is a family resort which offers an integrated approach to family recreation with accommodation in private villas with pools. 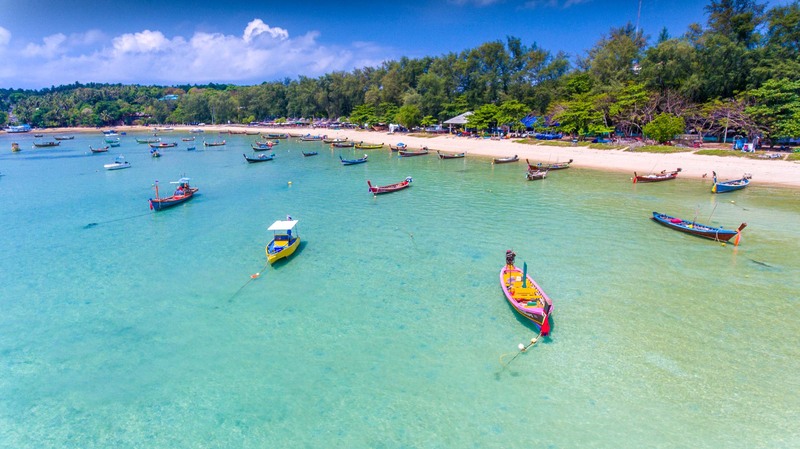 The project located in the south region of Phuket Rawai. 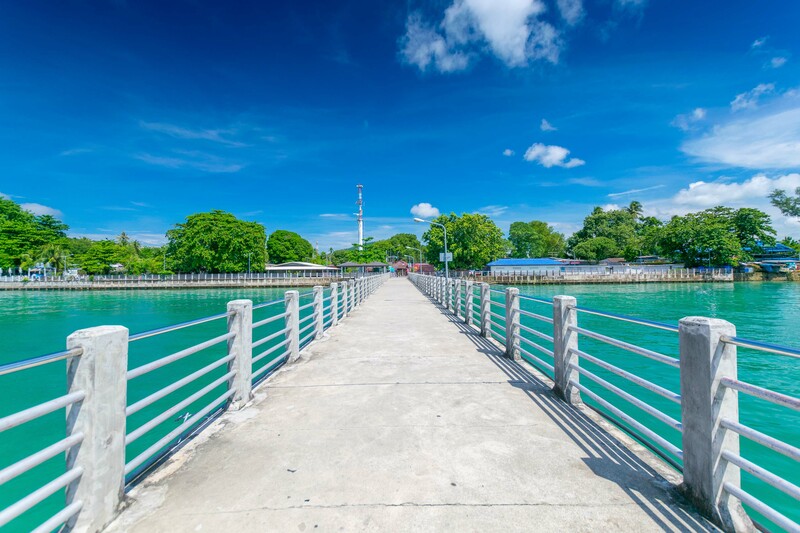 This district well-known like quiet area with developed infrastructure and gorgeous beaches, islands, and landmarks. 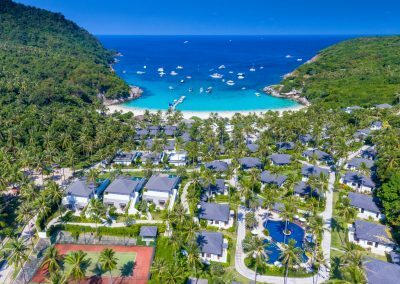 43 villas in a closed territory within 300m from Rawai beachfront feature modern-style accommodation and service management of a 4-star hotel. 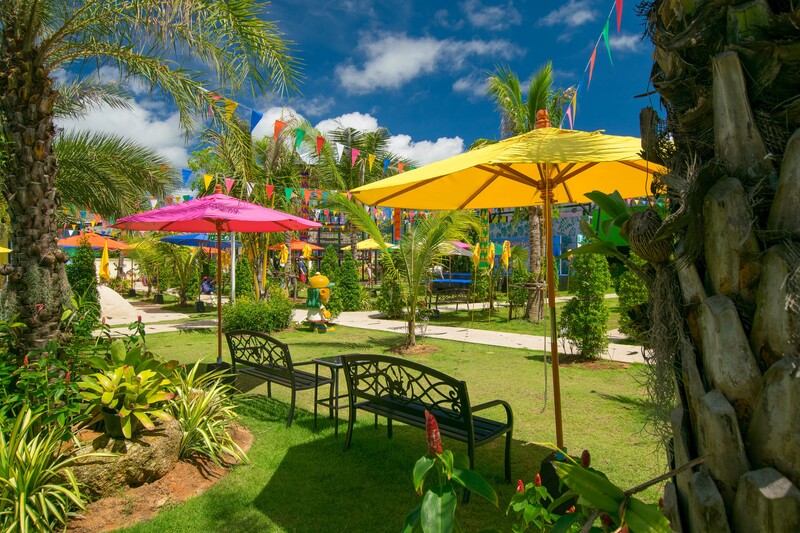 • Rawai Park which is created for kids and families for time to spend together. 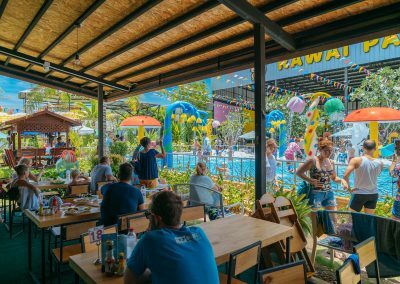 • Family restaurant Love Rawai Cafe with Thai, international cuisine. 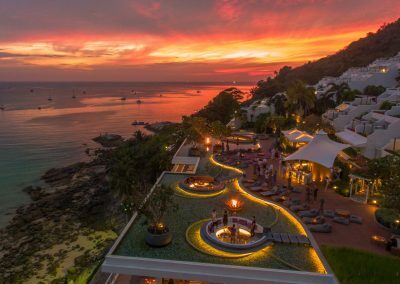 • SPA complex Pure SPA Rawai with traditional and authors treatments. 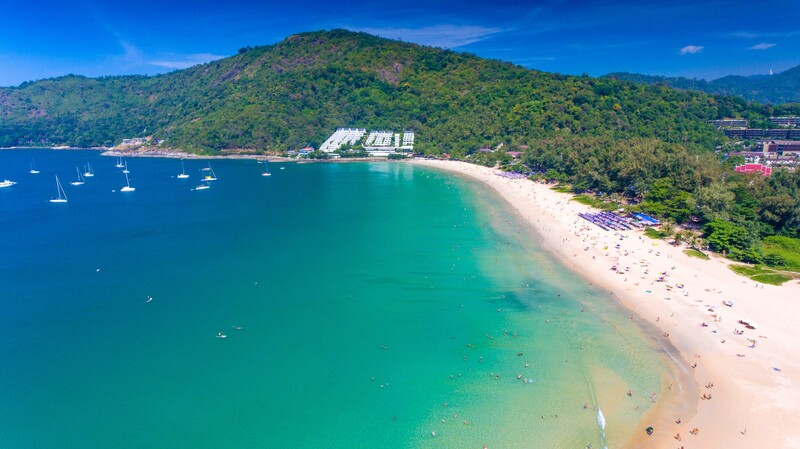 • Lyfe Medical Wellness is a professional center of rejuvenation on Phuket. 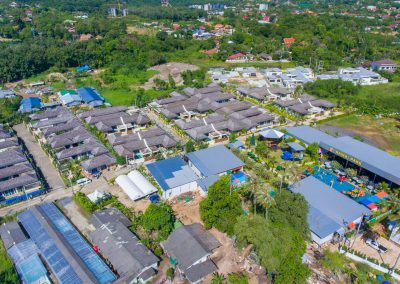 One storey detached and semi detached villas with 2-6 bedrooms and private pools available for rent with minimum stay 1 night. 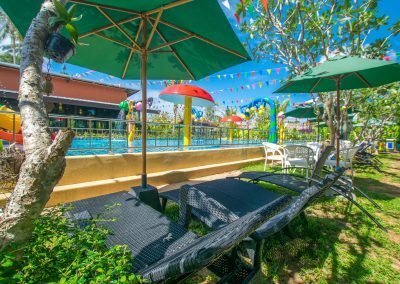 Villas in the resort are tastefully furnished in a modern Thai style. 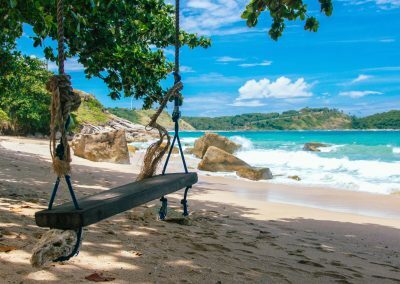 Each villa has a private pool and terrace, modern living room, dining area, private parking, en-suite bathrooms in every bedroom and a fully equipped kitchen. The concept of villas provides for the layout where all rooms have their own entrance from the pool side, rooms does not connect inside the villa. For the babies provides kids chairs and baby beds. Bedrooms, each of which has a queen-size bed, en-suite bathroom, dresser, TV, and private access to the pool. In villas 3 ways of aeration in each room: ceiling fan, air conditioner and mosquito net. 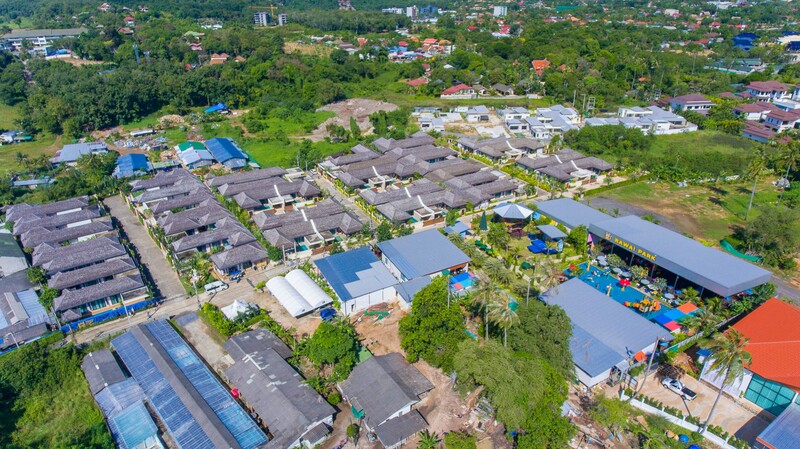 All villas setup with WiFi, cable TV and CCTV security system. For disabled guests here’s the villa with all necessary equipment. 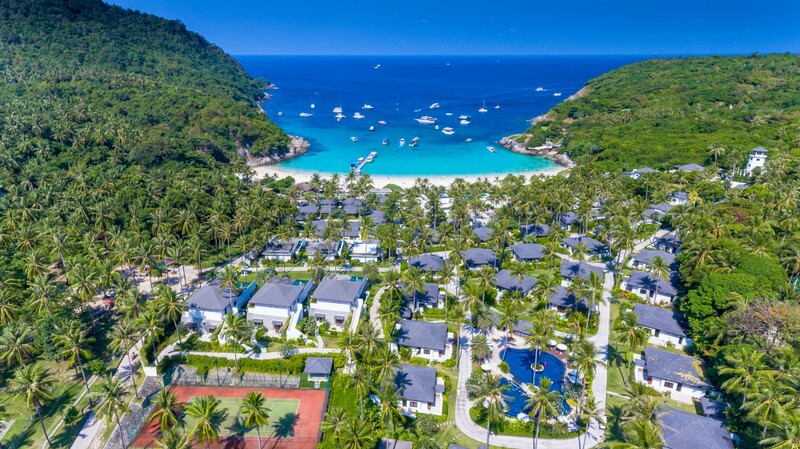 Prices for the villas can be compared with the family accommodation in a 4-star hotel with the same services. In the result, it’s cheaper in most cases. 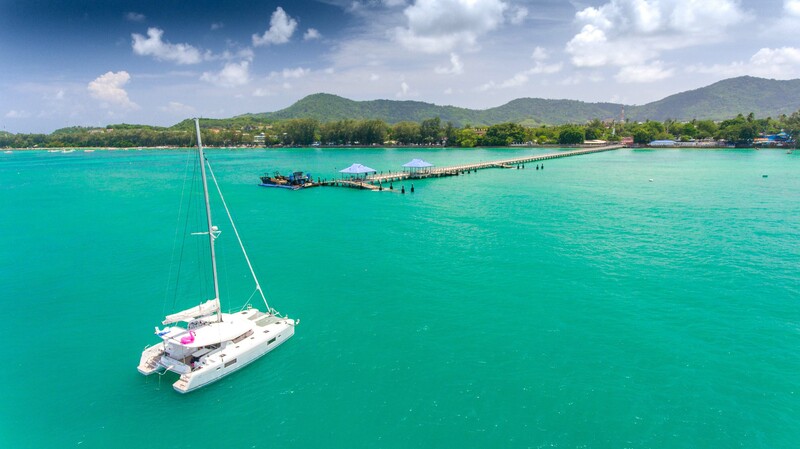 Tours and excursions, yacht charters. Cleaning, bed linen changes and maintenance services. 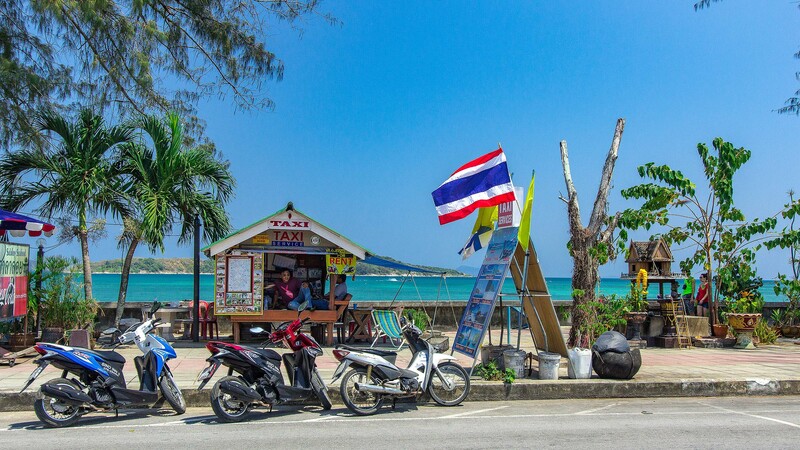 Daily breakfasts & food delivery from Love Rawai Cafe. 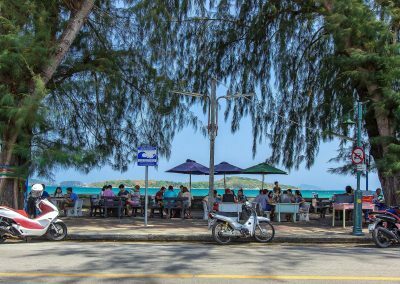 Weekly family events in Rawai Park. 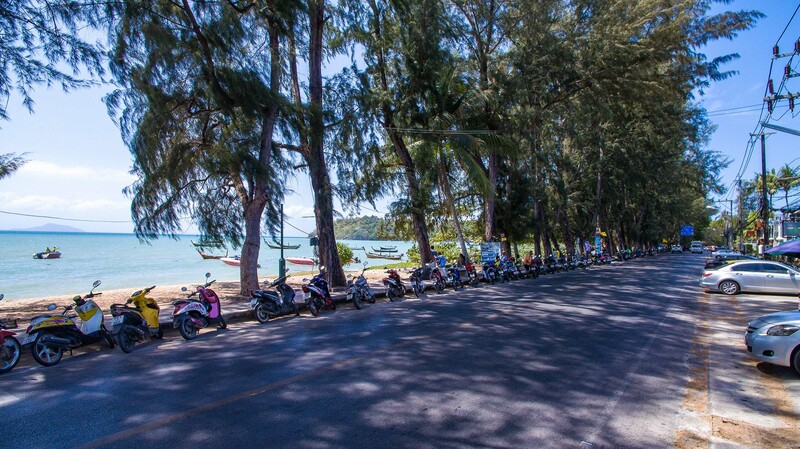 The annual celebrations for guests on the main calendar holidays (New Year, Chinese New Year, Songkran) in Rawai Park. 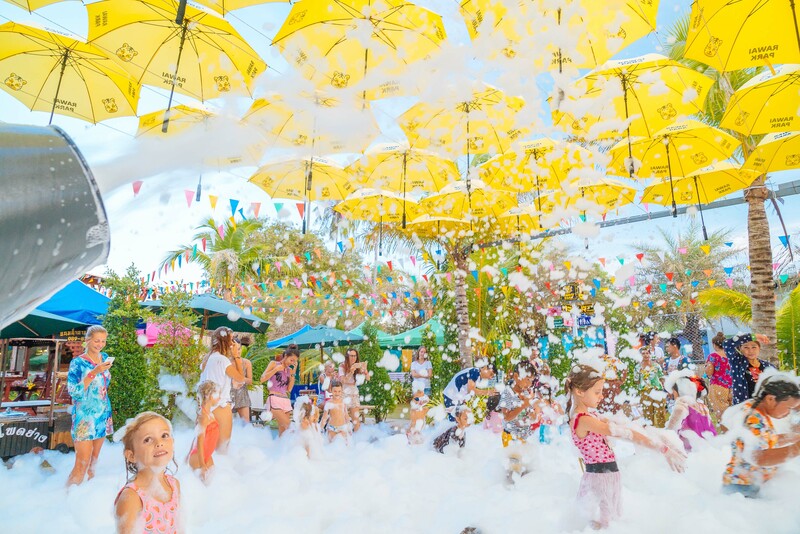 Services of organizations kids events (birthday, school contests, fairs, etc). 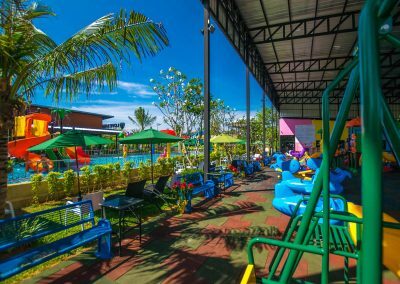 More than 1200 sq.m. area. Sunbeds area around the pool for parents. 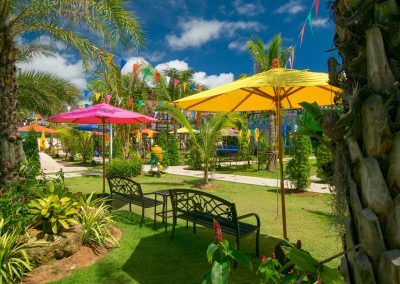 Green area with tropical trees, flowers – 500 sq.m. Stage for concerts, shows etc. 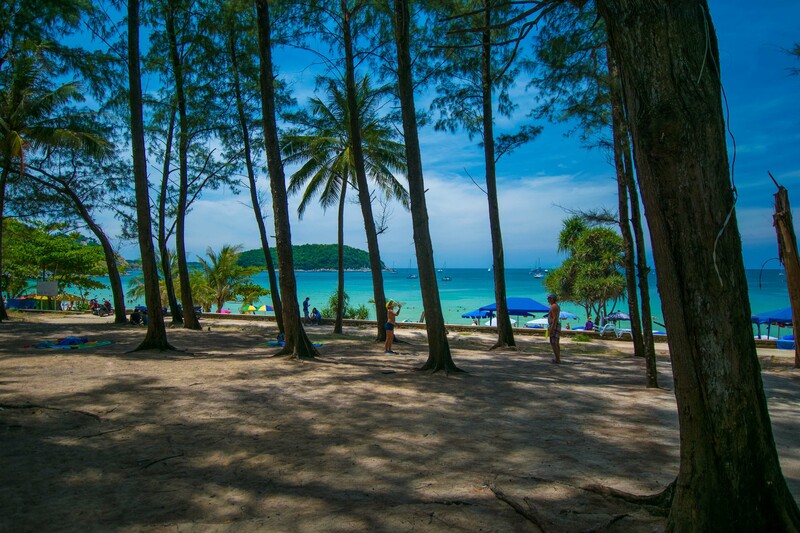 Rawai Park created for the families who want spent varied and fun time together. 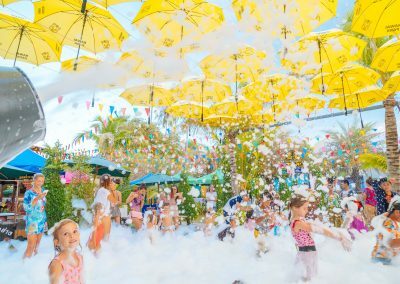 Every weekend and on holidays hold a magic shows, games, concerts and creative workshops. Play areas suitable for any weather conditions: playroom with air-conditioners, toys and playgrounds, outdoor playgrounds with a roof protecting from sun and rain, kids water area for the hot time, sand area, green gardens for the rest. Celebration all main calendar holidays during the year. 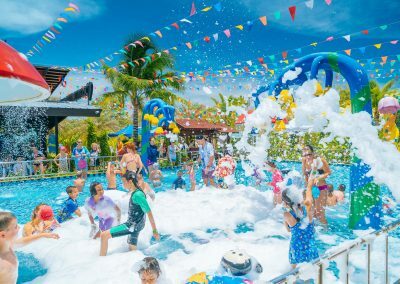 Services of organizations kids events, like birthday or even school contests, fairs at Rawai Park with animators, show’s program, games, prizes and buffet menu from Love Rawai Cafe with service. Park is open for everyone from 9am to 8pm. Family restaurant (400 sq.m.) 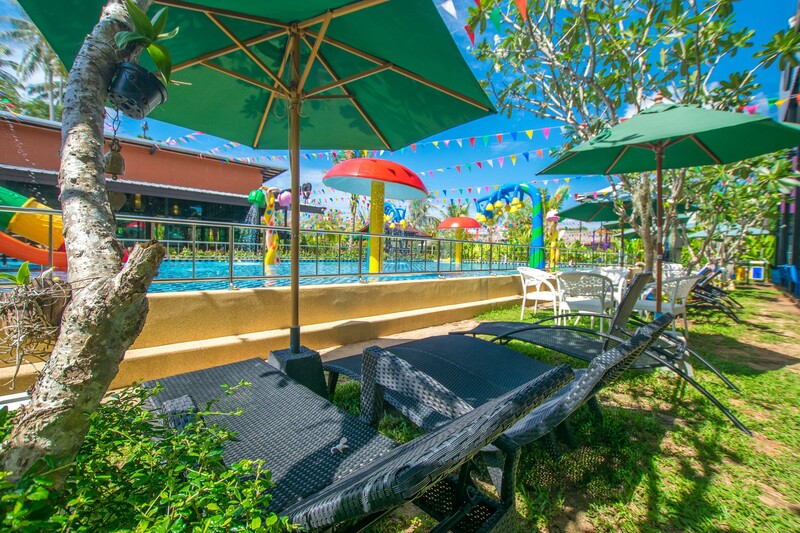 located directly nearby Rawai park what is suit for parents, who can seat in the cafe and look at kids in the pool. 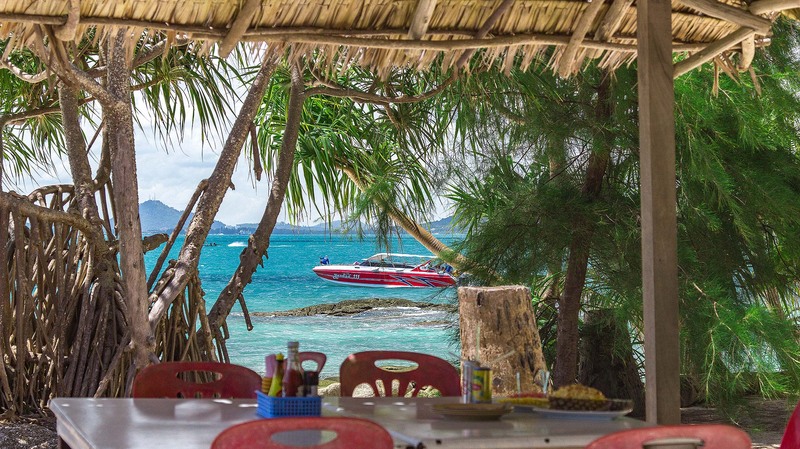 Love Rawai Cafe offers Thai and international food, soft drinks and selection of wine and beer. For the kids here’s special menu. 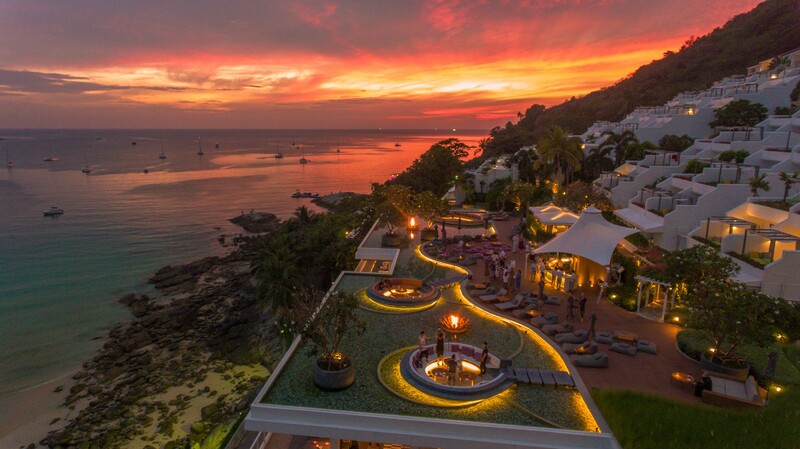 Restaurant offers breakfasts, lunches, and dinners as well as in-room service for the villas. Spa created by the basic canons with the privacy, nice interior in subdued tones, atmosphere of relaxing. Private rooms created for the couples or company up to 4 and set up with a bathroom for body treatments, like a wrapping and scrubbing. The spa menu offers a comprehensive relaxation program. Peelings on the basis of author’s cosmetics, warm candle wax, massage with herbal pouches and traditional Thai massage. Programs for the face based on French cosmetic line. Pure Spa’s Therapists have huge experience, education and regularly learn new techniques. Available packages for pregnant women. Lyfe Medical Wellness is a professional center of rejuvenation using the latest technology in this field. 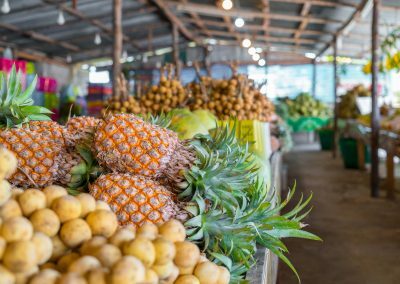 Based on your results from our health and wellbeing analyses, trained professionals team will design an individual program in conjunction with client’s needs and health-related goals. 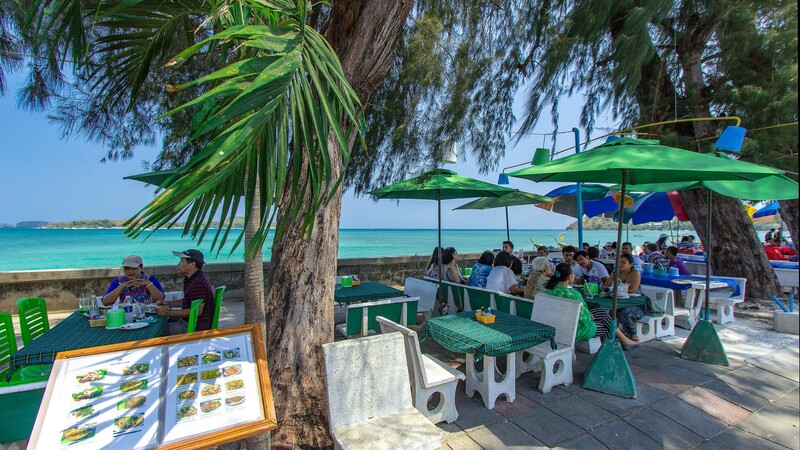 Famous fish and seafood market and on the opposite side – cafes where they can cook your seafoods by yours taste. 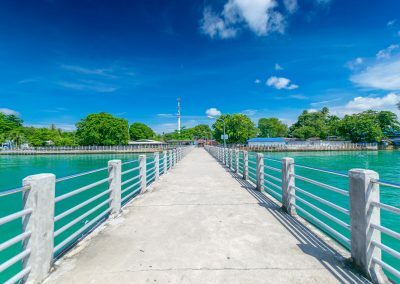 Rawai Pier is perfect for a walk, running, promenade. A lot of restaurants, bars, bakeries and breakfasts cafes along the beachfront. 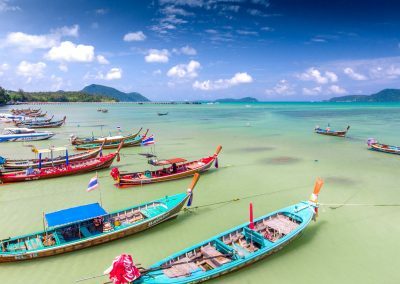 Boat taxi. 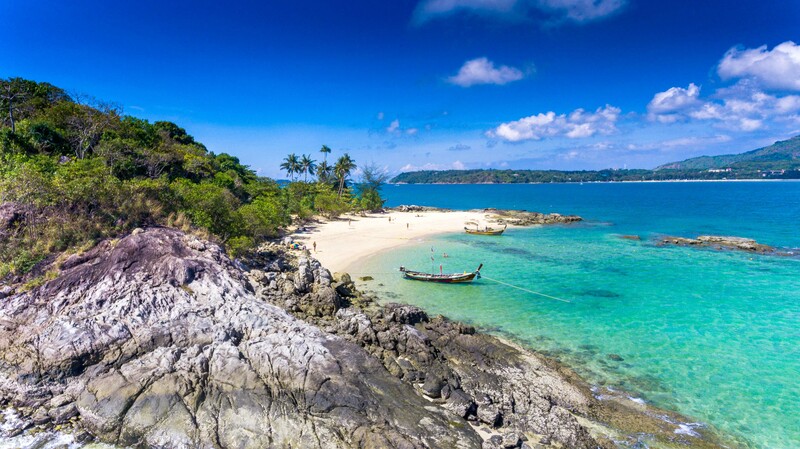 You can visit Rawai islands from this coast. Here’s more than 10. 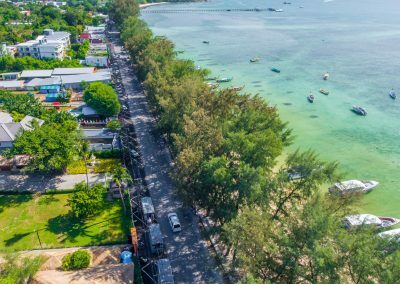 Rawai beachfront not suitable for a swim because of low tides on the south coast. 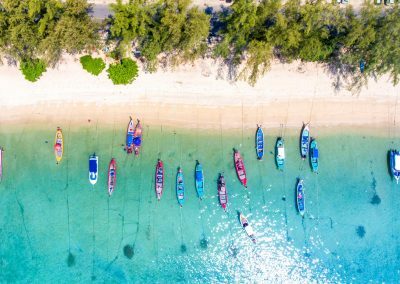 That’s why this coast became parking for boats. 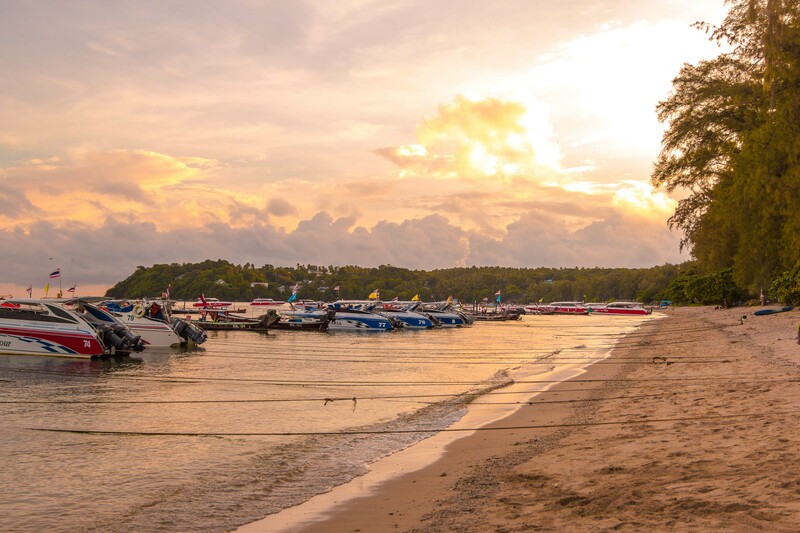 Boat taxi offers trips to the nearest islands with nice tropical beaches, sunset trips and sea activities of snorkeling, diving, fishing and submarine scooter tours. 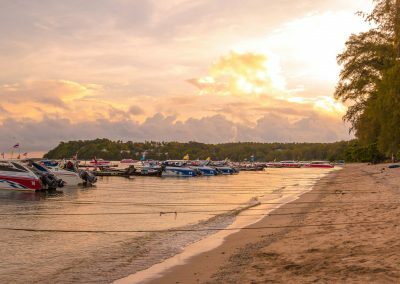 A huge advantage is a simplicity of renting a boat. 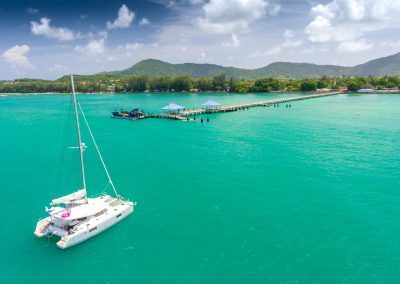 Just arrange with the captain right on the waterfront and safely go on a trip to one of the most beautiful islands near Phuket. 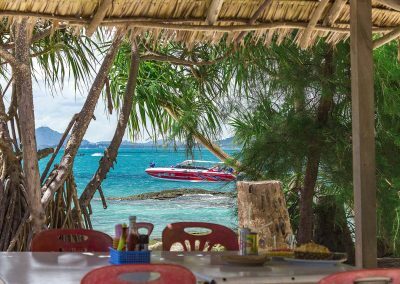 swimming all day long, sunbathe on a snow-white beach and taste delicious food in a small cozy Bon Island Restaurant that hid directly in the jungle. 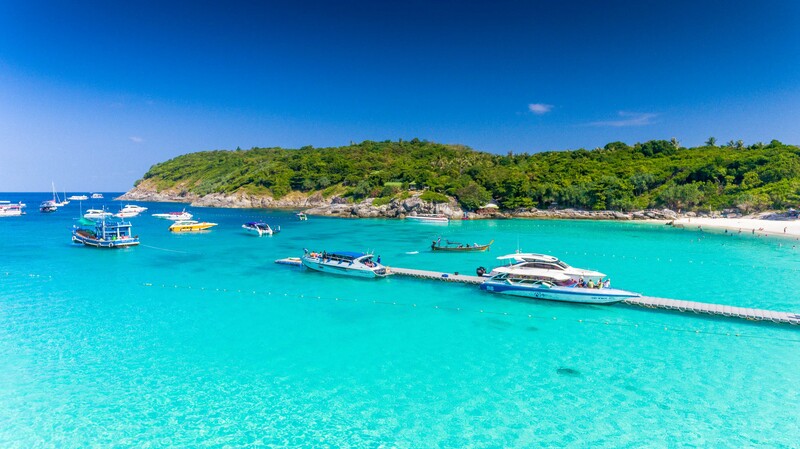 Racha island. 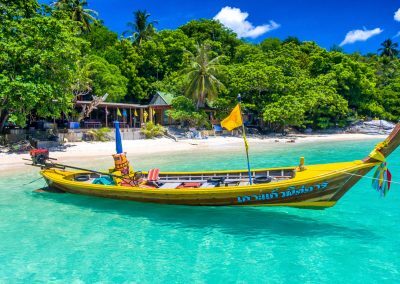 The way is 30 minutes by speedboat from the Rawai beach to island that surrounded by coral reefs. 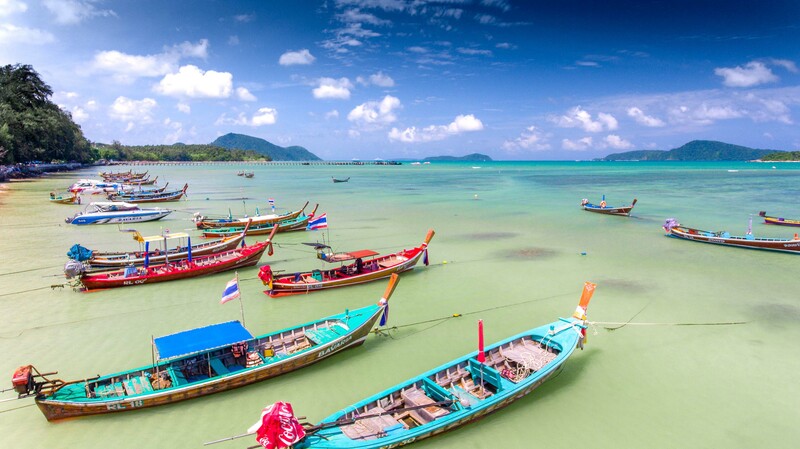 Visiting possible for a one-day tour or longer stay in one of the luxurious hotels. 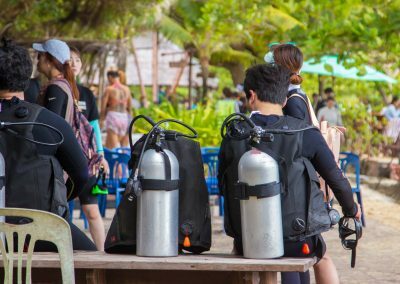 Visit it for diving, snorkeling, sunbathing on white beaches and swimming in the water of a dazzling color. 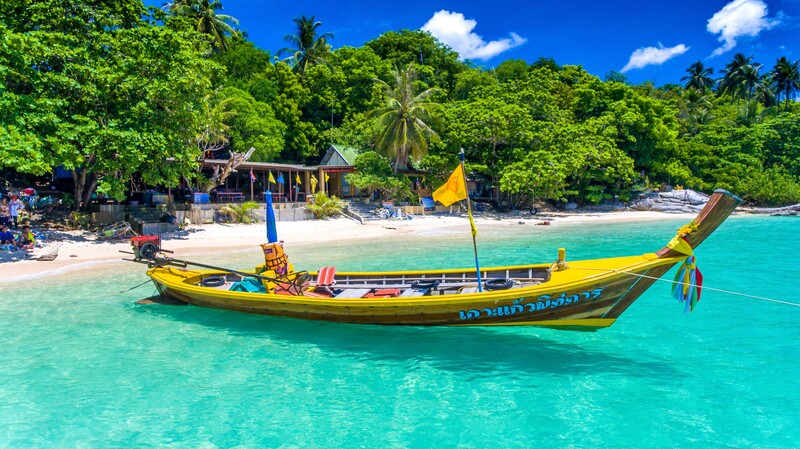 Koh Hey, also known as Coral Island is only 10 minutes by speedboat from Rawai beach. 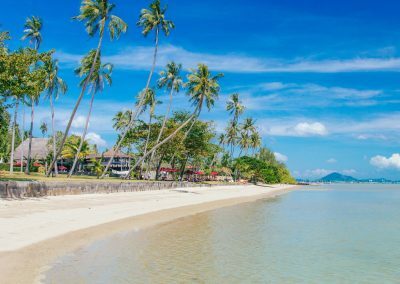 This fairly large island, drowning in greenery and has beautiful beaches with developed infrastructure. 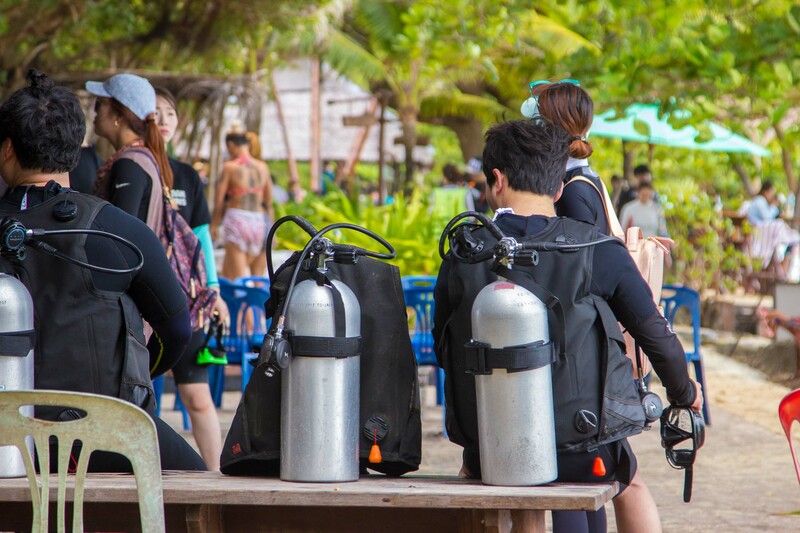 Dive with scuba, fly by parachute after a boat, swim with a mask, ride a “banana” or water skiing. 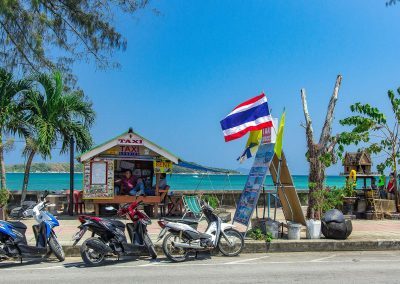 You can have a snack in a restaurant hidden by the hotel in the shade of palms, and in the evening, on the beach, there is a small bar with cocktails. 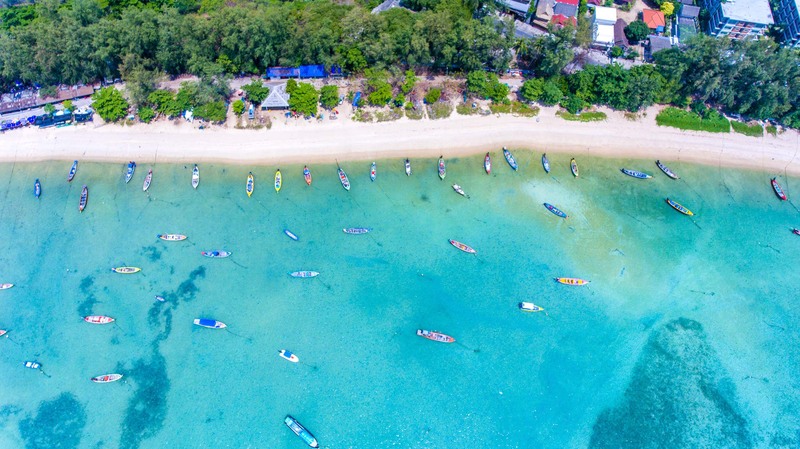 Koh Kaeo Yai — a heart-shaped island in Rawai. 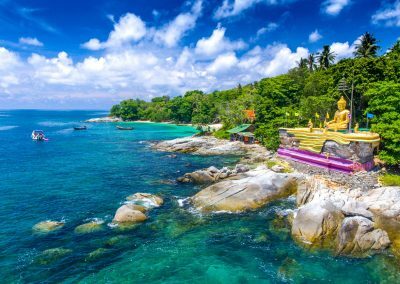 This island is famous not only because of it’s shaped, but it also has Golden Buddha and Buddhist temple where monks live. 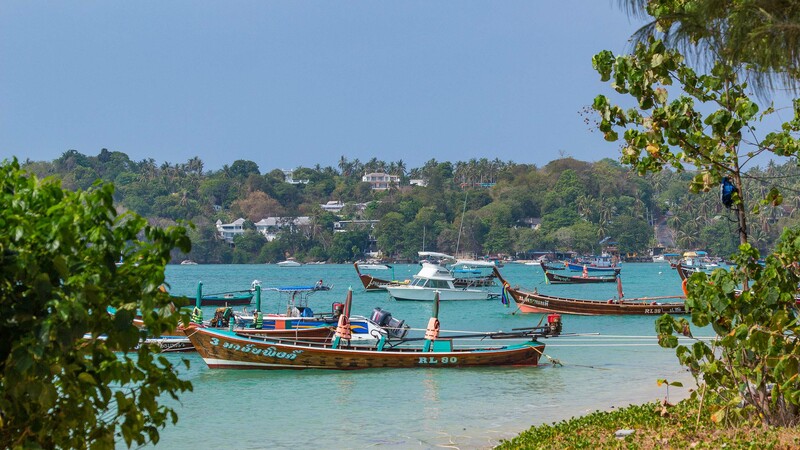 The island located within 3km from Rawai Beach and you can reach it by long-tail for 20 minutes. Visit it for excursion and don’t forget about dress-code. 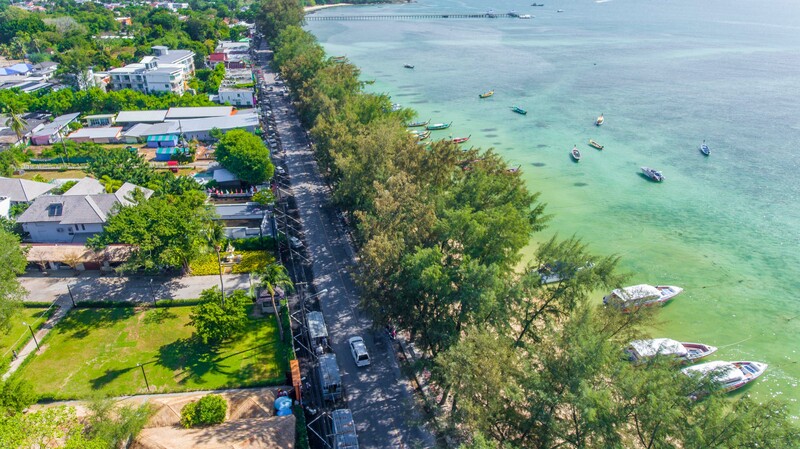 Rawai district is best known for its beaches. 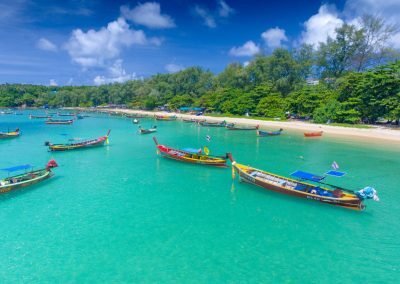 Here travelers can find a few incredible beaches with well-developed infrastructure, bars, restaurant and another kind of civilization. 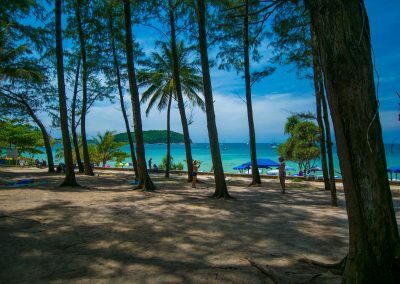 Despite on it, in this beautiful corner of Phuket still saved almost pristine beaches that attract its wild beauty. 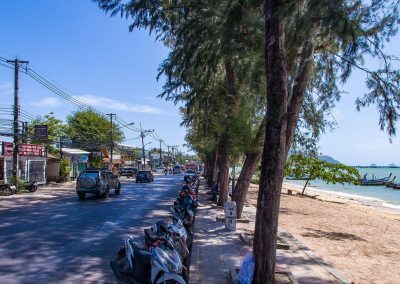 Ao Sen beach. 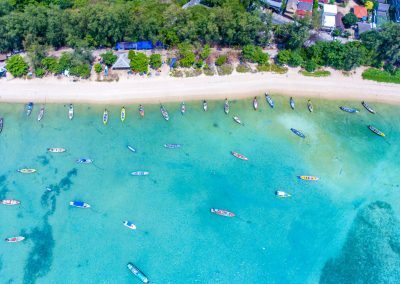 This cozy and small beach is well hidden behind a narrow passage past the hotel The Nai Harn but certainly recommended for a visit. 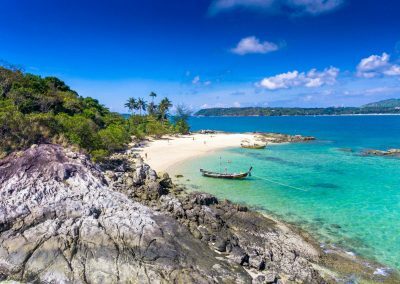 In addition to the usual swimming and sunbathing, here’s an excellent spot for snorkelling, and a cafe for dine in a small Thai restaurant. 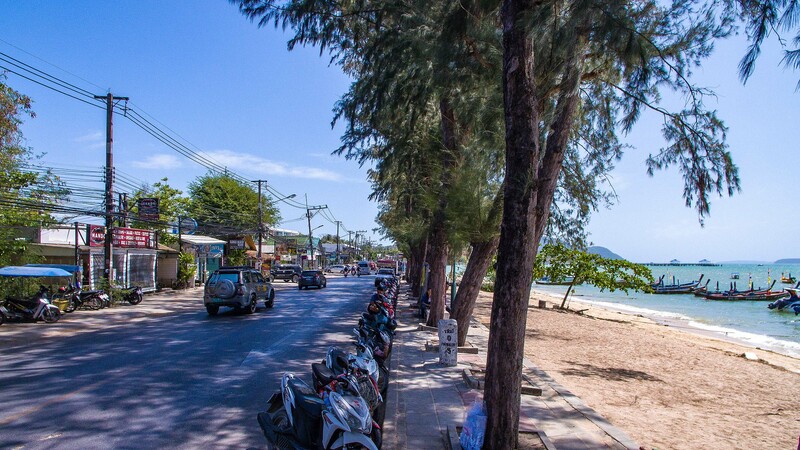 Yanui Beach, located between the viewpoints – Promthep Cape and Windmill Station. Yanui bay surrounded by rocks and provide a unique atmosphere and landscape. 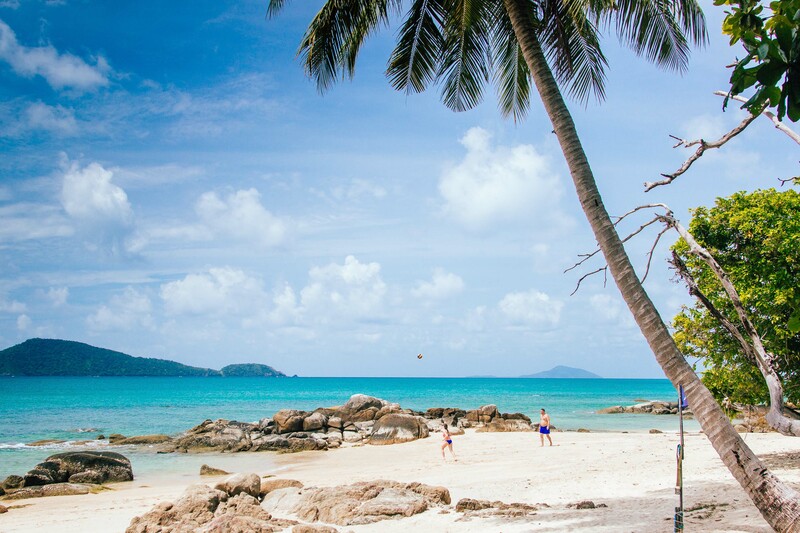 This beach is very fond of photographers and the organizers of wedding ceremonies. In the jungle by the beach there is a small bar and a restaurant where you can have a good dinner and in the evening, skip a couple of cocktails. 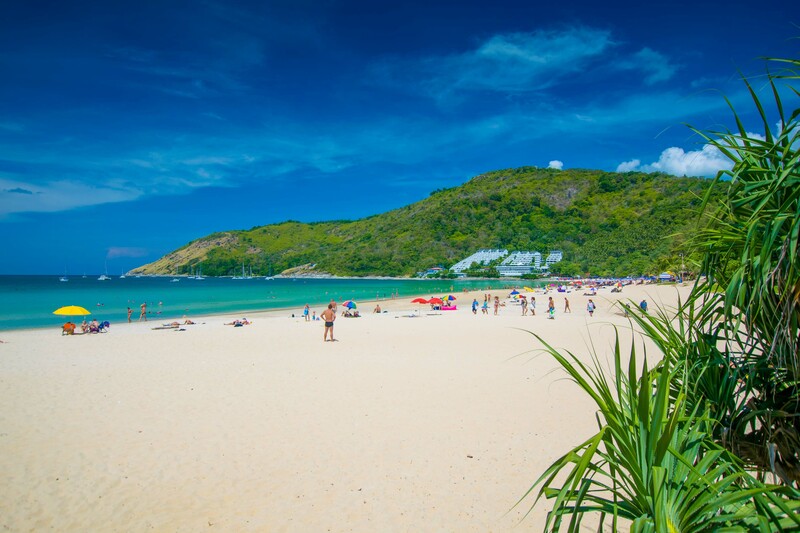 Nai Harn beach – according to many residents and guests of the island, almost the best beach in Phuket. 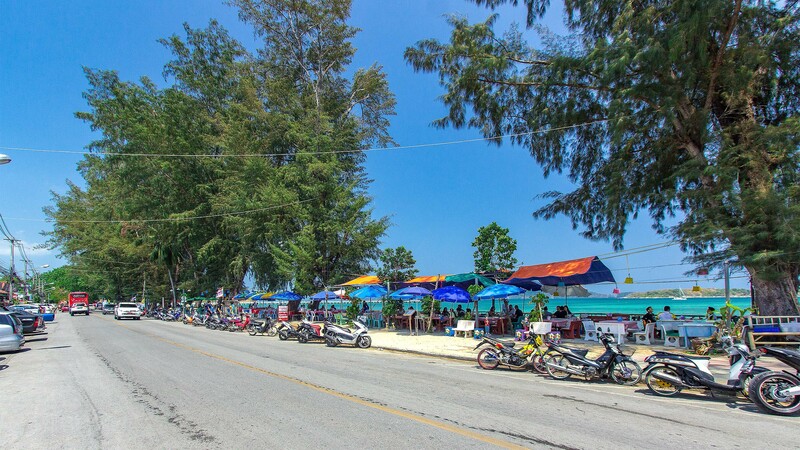 On the coastline is a small market where you can buy everything you need for a beach holiday. For a dine here are numerous restaurants and cafes. 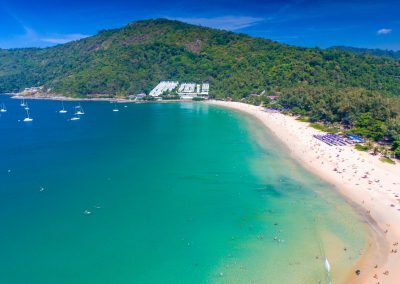 At the western end of the beach is the eponymous five-star hotel The Nai Harn, its snow-white shape makes the beach instantly recognizable. 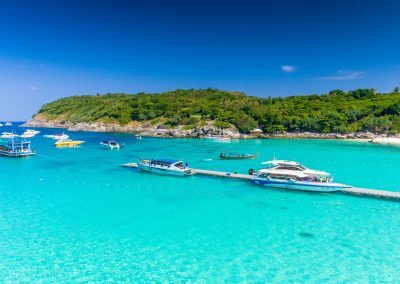 All year round the sea here is a magnificent turquoise color, very warm and perfectly suitable for swimming. From April to November, waves appear on the beach, and rescuers working on the beach set special signs for places to safely swim. 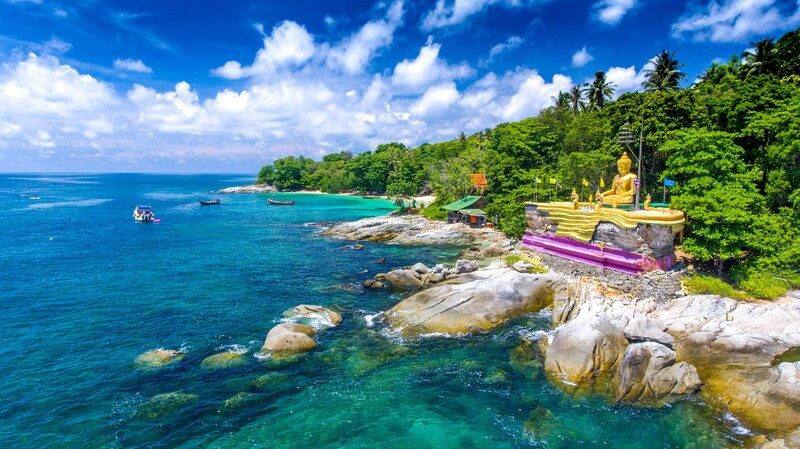 Promthep Cape is the most southerly landmark of Phuket with the delightful view of the ocean, which opens from the viewpoint. 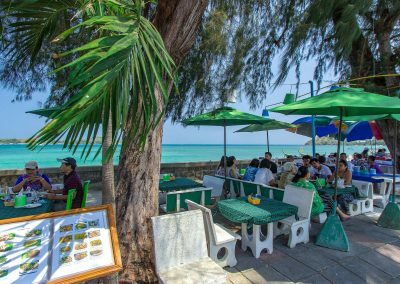 Nearby is a restaurant with local cuisine and a chic sea view and a small market with souvenirs, fruits, and refreshing drinks. 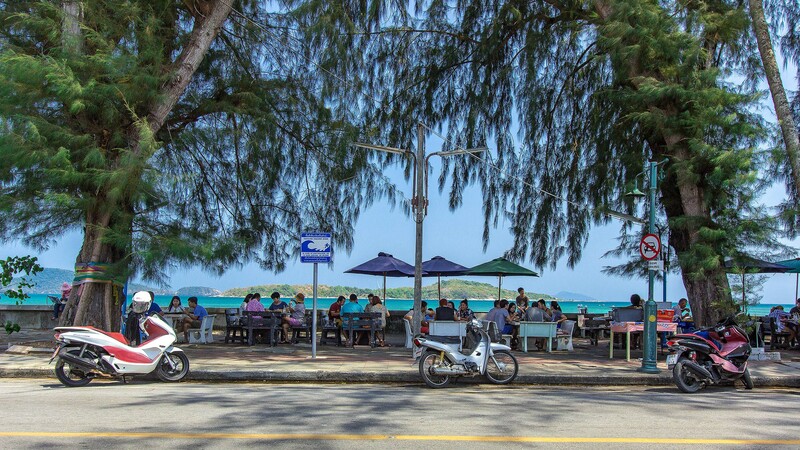 Windmill Station is a small station of alternative energy has become one of the symbols of the Rawai District. 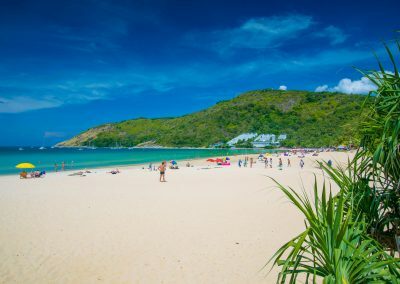 At the foot of a large snow-white fan, there is a viewpoint with an incredible view of the ocean. 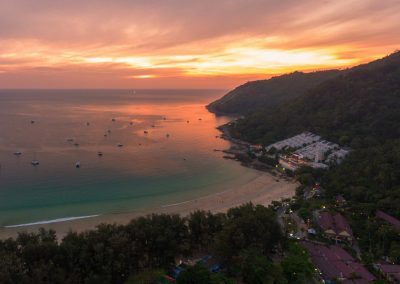 Best time for visiting is a during sunset from 6.30 pm to 7 pm. 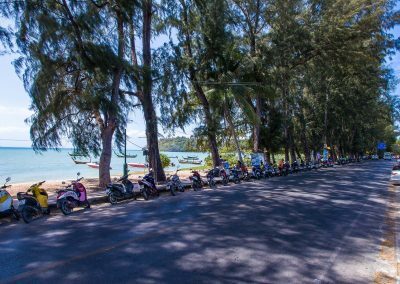 Black Rock Viewpoint — one of the most beautiful viewpoints in Rawai, but not very known as it is not so easy to access. 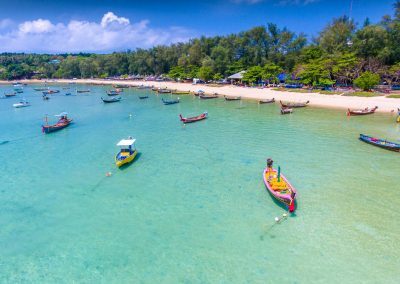 But the view from it is outstanding, like all islands around from the top: Koh Man, Koh Kaeo, Ko Bon, Ko Hey, Ko Racha and also almost whole Rawai District. 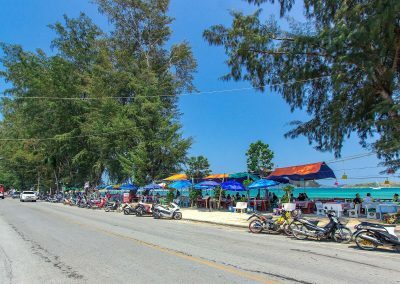 7-11, Family Mart – 24/7 shops within walking distance on Rawai beachfront. 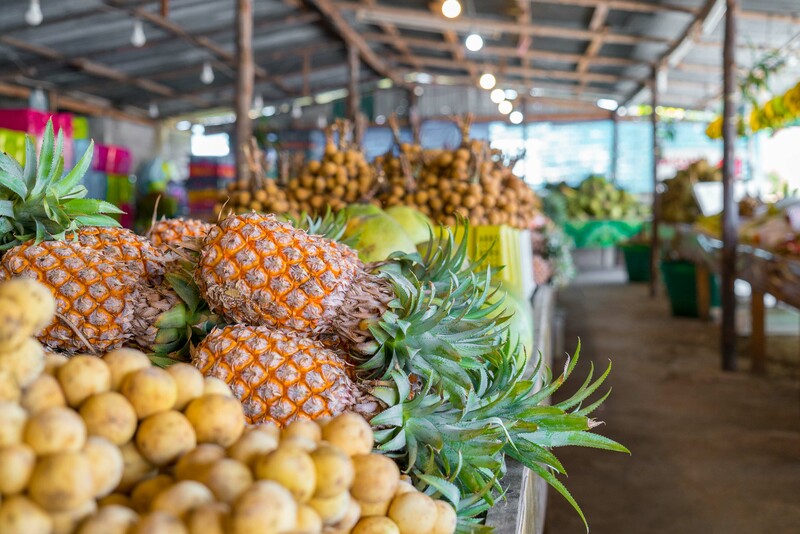 Tesco Lotus Park, Makro Food Centre – food (5 km). 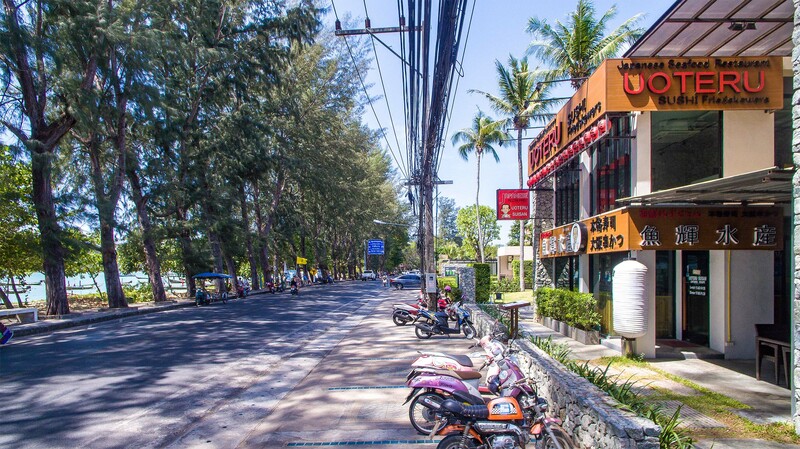 Villa Market with imported – food, hope appliances (9 km). 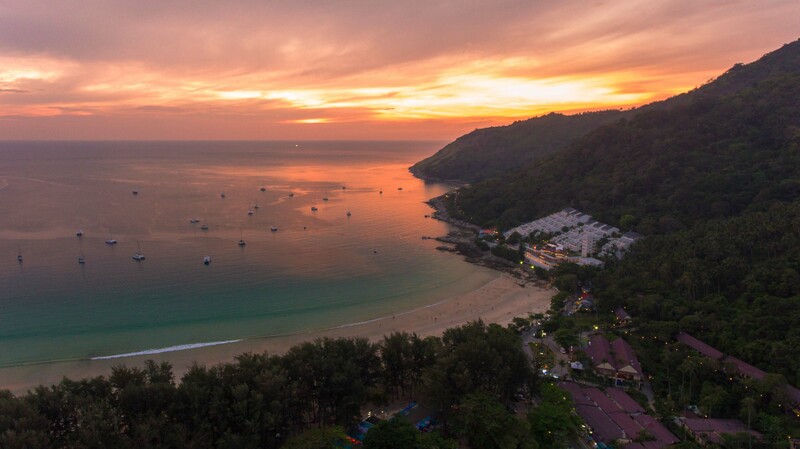 Central Festival Shopping Centre – one of the largest shopping malls in Phuket (17 km). 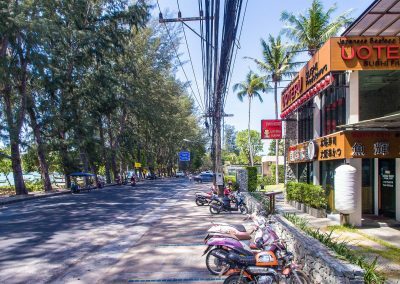 Jungceylon Shopping Center located in Patong, in the center of nightlife (20 km). Families with kids 0-6 y.o. Our customers have small kids and when they are planning holiday they choose places not for themselves only but which will be comfortable for their kids – and here is our main advantage – our kids park which is the largest in Phuket and it is only steps away from the villas. 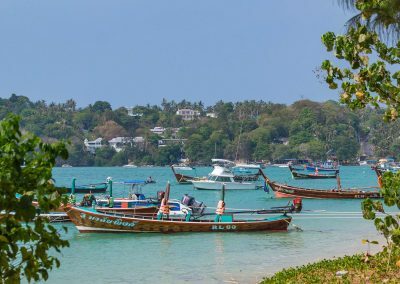 The kids are busy playing, they can swim in the kids area, lunch at the restaurant, walk on the shady Rawai beachfront, enjoy well-developed infrastructure. 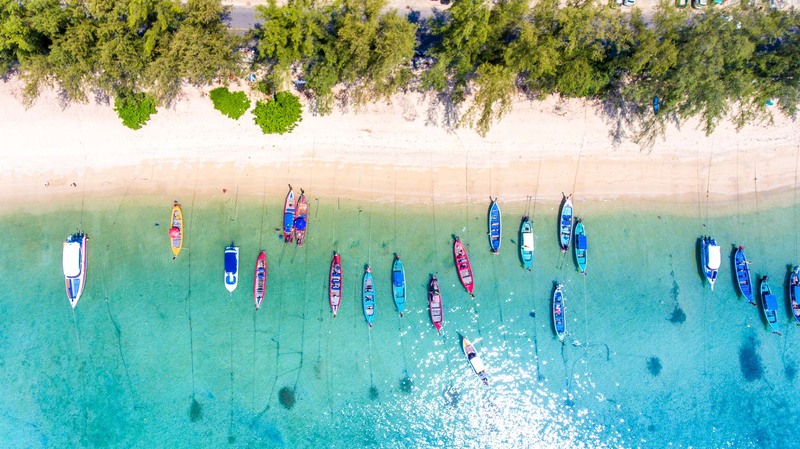 Customer usually rent a car, or they use a taxi to go to the beach sometimes (small kids can not stay on the beach longer) and all shops and restaurant within walking distance makes families feel in the center of everything. 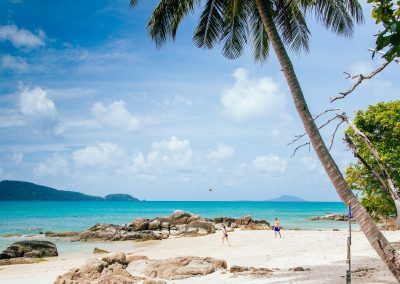 Please visit official website of Rawai VIP Villas, Kids Park and Spa Resort for instant villa reservation. You will be able to check availability and see the prices for your preferred period. If you will have any questions you are free to contact us using contact information and form at the website. 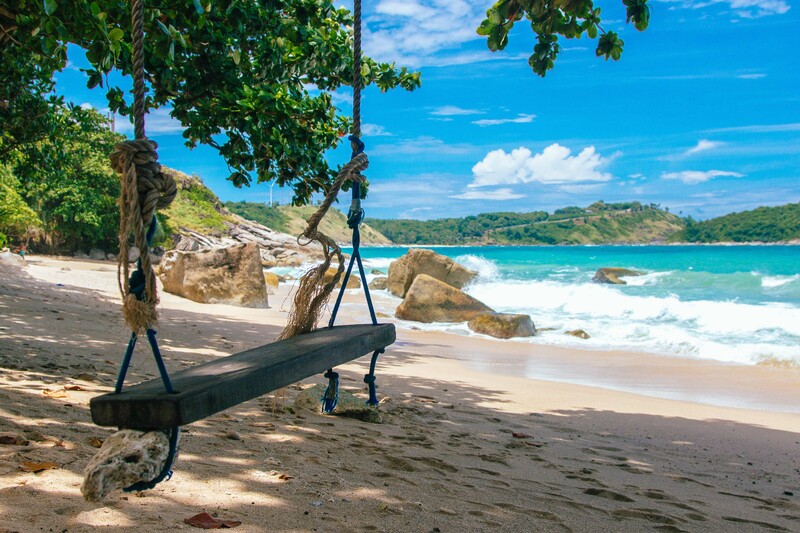 You may also find contacts for villa reservations on this page below. 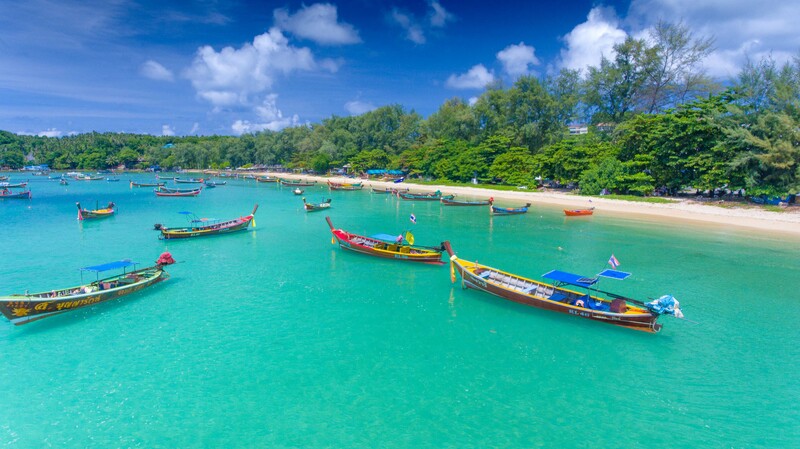 Welcome to Phuket! 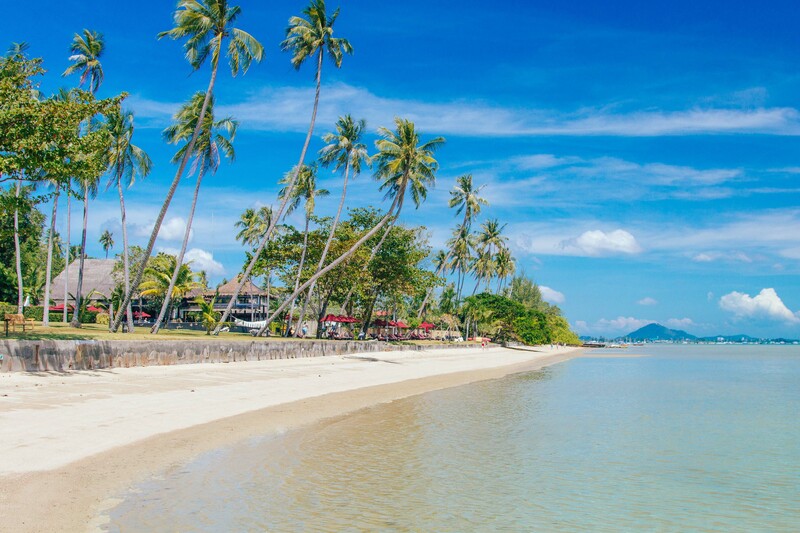 Rawai VIP Villas resort is open for cooperation with independent agents, travel agencies and tour operators. Please contact our rental department for more details.